Cambridge University has drawn the fury of animal rights groups after it emerged the British Heart Foundation is funding scientific research, which involves keeping rats in low-oxygen environments. 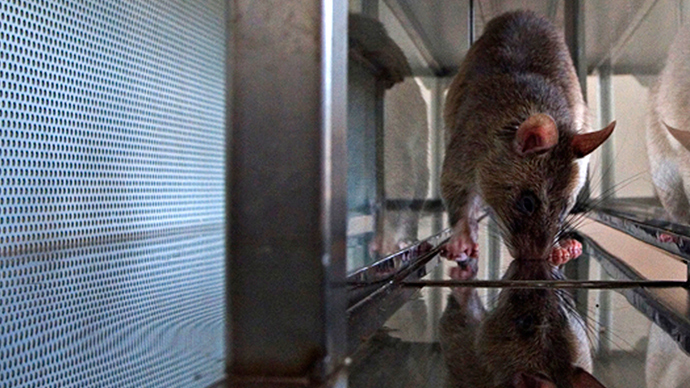 Animal rights group Animal Aid have called the university’s research “deeply disturbing” after they discovered rats were being held in ‘hypoxia chamber’s, starving them of oxygen, for 14 days before being killed for posthumous analysis. The practice was part of a study funded by the British Heart Foundation, which aimed to discover whether nitrates in green leafy vegetables could improve the health of people suffering from heart disease. “It is deeply disturbing that this well-known charity is wasting money donated in good faith on cruel and absurd animal research, such as the oxygen deprivation “procedure” on rats. The university, however, said the practice was in line with Home Office guidelines on animal research. The guidelines acknowledge strong opposition to animal testing, but say it is permitted when there is no other viable alternative. A spokesperson for the University claimed that in this particular case it was difficult to study the effects on internal organs using human studies. “This condition, known as hypoxia, affects millions of patients each year, including those with lung or heart disease, those who suffer a stroke and those in intensive care units. They added that the University was dedicated to ensuring high levels of animal care.